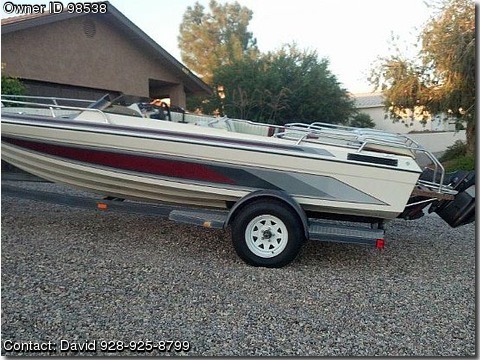 Please call boat owner David at 928-925- eight seven nine nine Or 928-566 four four five four. Boat is in Lake Havasu City, Arizona. Good condition, runs well, great ski boat or runabout, seats six, has bimini.